Here is an update on what we are doing in the last few weeks of term and first few of Term 2. We are still focussing on Oral Language to help our literacy. Our aim is to encourage and motivate the children through a lot of class trips to our local community groups and areas. 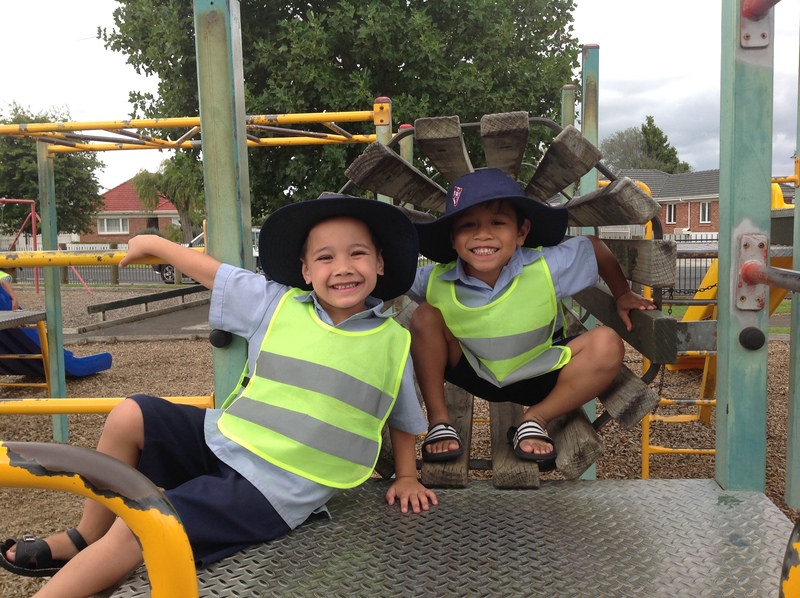 We have had fun at the ASB, Papatoetoe Library, Mrs de Koning’s visiting her chickens, Allenby Park, and now this week – The local Papatoetoe New World. We want the children to talk, talk, talk – to each other, to the teachers and to you at home. It will be great if we can enrich their language with interest words, details and descriptions. Please ask them about their experiences regularly. We went to the park to play on the playground and learn some new games. READING – The target for the end of the first year is passing Level 12 (for a Year 1). So by the first 6 months of school your child should have attained or bettered Level 6. In reading we are looking at fluency and pace (so it sounds interesting), this means no finger pointing after about Level 6! Also being able to retell as story confidently and in the right sequence, using suitable language. They need to use a balance of MEANING, STRUCTURE and VISUAL CUES (spelling and pictures) to help them decode words. This means cross-checking one skill against the other sto be sure and not relying entirely say on the pictures, or sounding out. So read, read, read at home, both to and with your children. Let them see you reading for pleasure too, whether a magazine, newspaper, online or a book! So it is VERY important that within the first 12 weeks of school your children can read their 40 basic words very automatically with no hesitation, and that they know the sound that is associated with all 26 letters of the alphabet. Being familiar with some common blends would be fantastic too – sh, br, bl, ch etc. So help your child learn and then revise the basics, they love the special one to one time with you – parents/caregivers/siblings/grandparents/aunties and uncles and cousins. Let everyone help and celerate even the smallest progress made! After an exciting time we talk about what happened drawing our exciting language, the teacher models a simple story, or part of a story, and then a word bank of useful words is written up. We might us whiteboards, paper or the ActivBoard for this. Then the children move in their groups to write in their books, on the computer, I Pads or paper. Some do ABC puzzles or computer activities to practise letter names/sounds or writing sentences, or recognising basic words. The teacher works with a group at a time, or maybe occasionally an individual child to support them in their personal writing. Early goals might be , recording the letter sounds they can hear in a word, using a capital letter and fullstop on each sentence, spacing words, recording basic vocabulary they know quickly and accurately and then after they have scribed their story reading it back to someone. Later goals at Year 1 might be, focusing on making the story interesting for our audience who we are writing for, adding descriptive language, similes and onomatopoeia. They will also start simple proof reading for themselves in red pen. The teacher may occasionally publish special or interest written pieces. You can encourage your child in purposeful writing. You may need to help them spell words at first, encourage them very soonn to sound them out for themselves to speed up the process of writing. They could write family names, record your shopping list for the week, write a letter to a grandparent or teacher, write out a simple recipe, design and write their own birthday invitations or recall an interesting trip or family visit they were on. Using chalk, felt tips, pens and the computer or I Pad help maintain interest. A goes caterpillar c and up and down! Look at my capital A and lower case a. It is also important to encourage children to form the letters correctly, from the top of the letter and for a c, o, a, d, g to start with the “caterpillar c” shape and then move on to the rest of the formation. Try to discourage starting at the bottom, especially for a, b, d, p, q where confusion is common. At school in year 1 we aim to count forwards and backwards from 5, then, 10 and then 20. Some children may be able to get to 50 or 100! We need to know the order of the numbers BEFORE numbers are one smaller e.g. 3 comes before 4. And AFTER numbers are one bigger. Simple addition and subtraction is important, first to 10 and then 20 and beyond. 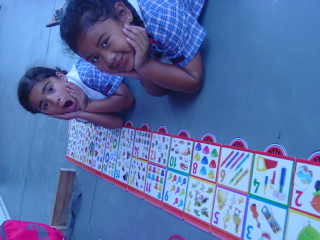 We learn simple skip counting in 2s, 5s and 10s. Also 3s and 4s if we can – the first stages of multiplicative thinking. We look for patterns in and with both 5 and 10. Tens Frames are important here, and also the Murtle Plus 5 Game. This term our strand is statistics – simple gathering sorting and graphing of information e.g. favourite fruit or colour. Then we interpret and discuss the information we have found. At home you can encourage the recognition and use of both numerals and word numbers especially zero tp twenty. Teen numbers can be a little tricky. Number rhymes and finger rhymes are great to learn. Also practising ‘finger flashes’, showing numbers 0-10 so it is really quick and patterns are recognised immediately is a wonderful skill. Any time busy parents can spare to help their child learn new things and practise school learning is appreciated. Children love to raise to your expectations – aim high for your children, keep in touch with their classroom teacher, pop in when you can. Always contact us about concern,s be they academic or social. It is great to work with you in partnership to reach higher standards of achievement for our students!